What are Printables? A 'printable' is an electronic PDF file that is sent to your email inbox. Once you place your order, an email is sent to the email address you supplied us with - containing your order. Click on the link(s) within the email and it will open your product. Then all you have to do is customize and print! Save the file to your computer and it is yours to keep forever! Why is it asking for my address when my items are emailed to me? Great question! The address/City/State/Zip fields are required due to credit card verification reasons. You can be assured that we will not use your address for any other purpose. For some reason the product I ordered won't open on my computer Check to make sure you have the latest version of Adobe Reader installed on your computer. Adobe Reader comes installed on most computers. If you don't have it, or need an updated version, you can get it free at abobe.com/reader - NOTE TO MAC USERS: When opening a PDF on a MAC make sure you right click on the file and choose OPEN WITH--->Adobe Reader. Otherwise, MAC's try to open the file in Preview mode and the fonts turn out strange. What is your refund policy? We offer a 15 day - no questions asked - refund policy. If you are not happy with your purchase, let us know within 15 days of your purchase, and we will refund your money. My home printer is old and doesn't print that great - any suggestions? All of our products have been designed to print at the highest quality, but if you are not happy with the results from your home computer - you can visit your local copy shop and pull up your email to have them print them for you. Copy shops can print directly from their computer to their color copy machine and the quality is amazing! If you are in a hurry, you can email the files to them and have them print them off so they are ready when you pick them up. Can I print onto label paper? Yes! 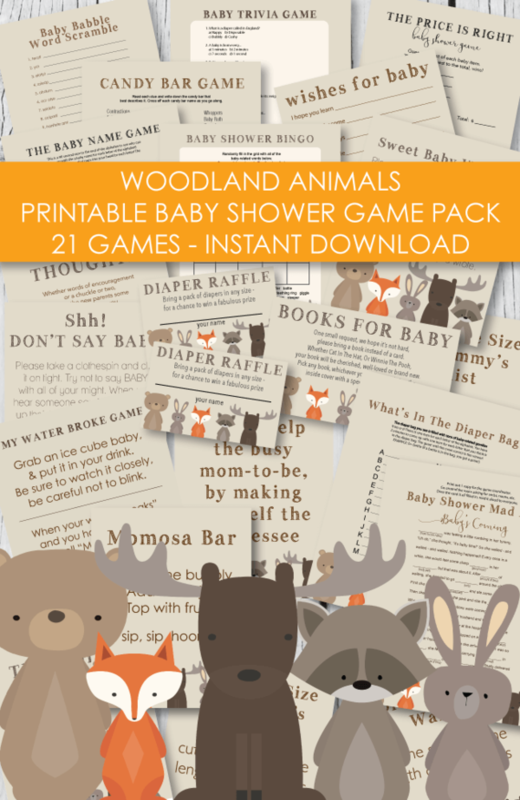 You can print our items on a 8 1/2 x 11" full label sheet (where the entire page is one big label) Then all you have to do is cut the items out and you have an instant label or sticker! How do I change the Font Size on the water bottle labels and favor tags? (only available on select items) So glad you asked! 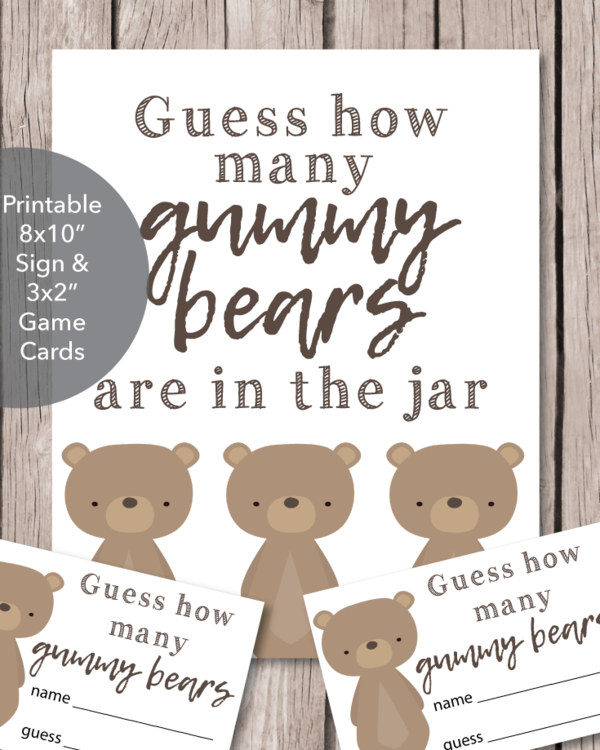 Some of our printable items are customizable and will let you add wording to them. When you open your PDF file up, click into the first customizable area. Then hold down Control E or Command E for MAC users. A font editing box will pop up and allow you to change the font size, color and type. It Says My Download Has Expired - Help! Our system gives you 90 days to download your printable items. Once you get your order emailed to you - simply save it to your computer and all of your items are yours to keep forever. If you get the message that your download has expired - no problem! Just send us a note and we will resend them to you stat! Legal Stuff All of our printables are for personal use only. We work hard to create our artwork - reselling of our items (both digitally and in printed form) is strictly prohibited.